There are three positions that are the most common ways to sleep at night. Side sleeping is one of the most popular. There are several variations of the side sleeper position, but all of them have one aspect that can cause problems for people, they can throw the neck out of alignment. What Happens to the Neck when Sleeping on Your Side? 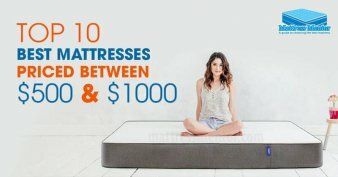 Unlike sleeping on your back or stomach, when you sleep on your side, there is a large gap between the mattress and where your head should be in a straight line with your back. Laying on a pillow that does not support your head and neck can mean waking up to stiff, sore muscles all across the shoulder girdle, down the back and up the back of your head. Sore muscles are just the start of the problems that being out of alignment with your spine can cause. The spine is the nerve center of the body, when it is not in the right position the nerve endings inside the spinal column can be compressed or even pinched, causing severe discomfort, pain and even numbness. Sometimes the pain felt when waking up from a bad sleeping position isn’t easy to associate with the neck, but pinched nerves in the neck area can create tingling sensations, numbness and pain even as far away as the feet. It is usually more noticeable in the hands and arms, but even lower back pain is often the result of sleeping with the neck out of alignment. 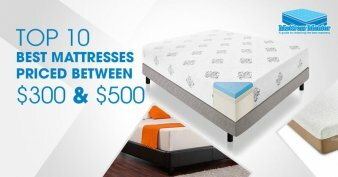 Mattresses get a lot of attention when it comes to selecting the best sleeping products, but pillows are at least as important and in some cases even more so. The right pillow is especially important to people who love sleeping on their sides. Memory foam pillows, gel and water pillows are all excellent choices for providing solid support for the neck while still having the luxurious softness of a comfy pillow under your head. 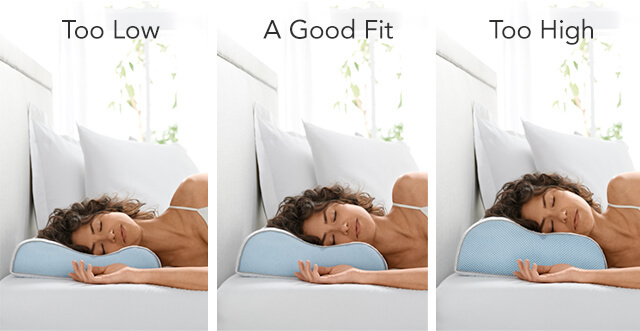 When selecting a side sleeper pillow, consider your favorite variation of sleep position. If you like a lot of support for your back or stomach to keep you from rolling out of position, an extra large pillow is best so that it can wrap around your body into position for extra support. In addition to size, the inner makeup of the pillow is important to allow it to bend and mold to your needs. Shredded memory foam is better for people who want to wrap or move their pillow into various shapes. Solid foam will be a little better support system, but it won’t move around or bend as easily. Gel and water base pillow cores are a good choice as well, but may not be as moldable as shredded foam. 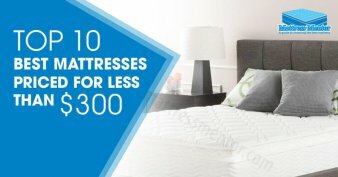 If you are happy sleeping in one spot all night, and don’t need a lot of extra back or stomach support from a single pillow, the solid memory foam cores are an excellent choice. They won’t separate, move about or flatten out in any spot of the pillow, but offer solid, firm comfort all night long. If you like putting an arm underneath your pillow, and want a supporting side sleeper pillow that is adjustable to give you the perfect height while allowing you to position yourself in any way that is comfortable, a water, gel or microbead pillow is great. The inside of these types of pillows allow you to adjust the level of support to make the pillow just right for your sleeping position.